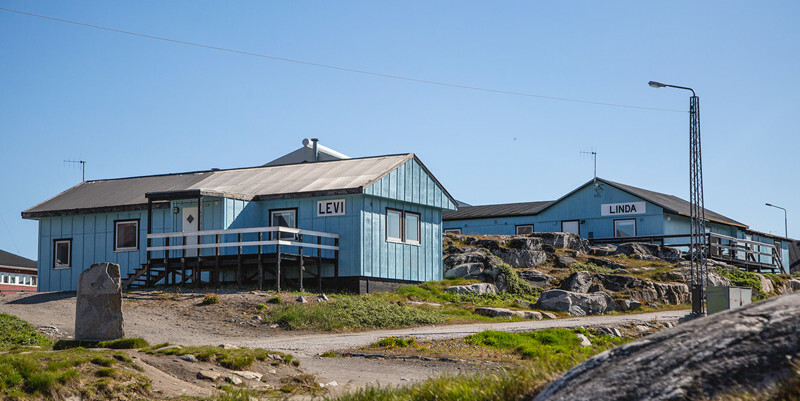 Hotel Disko Island, Qeqertarsuaq - Disko Island. Hotel Disko Island is located in the city's cosy centre in 5 buildings close to each other. 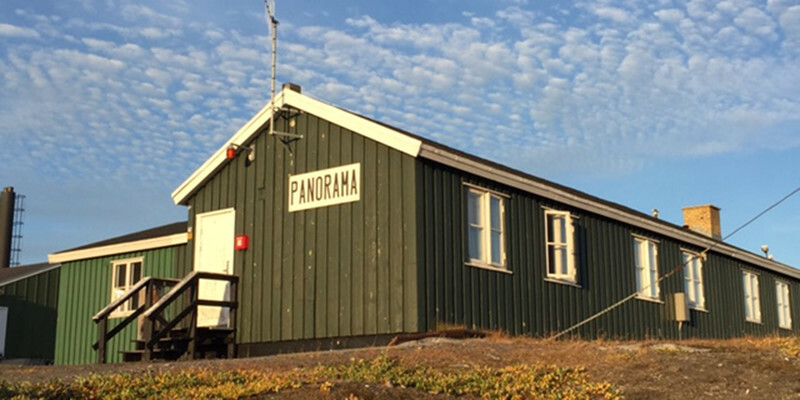 Hotel Disko Island organises various trips and excursions such as: guided city walks, hiking to Kuannit, whale watching, summer dog sledding on Lyngmark Glacier and mountain bike rental. There are free arrival and departure transfers for hotel and hostel guests, from the port or heliport in Qeqertarsuaq. The hotel has 20 double rooms and 6 single rooms, all with private shower and toilet. Breakfast is included in the price and is enjoyed in the hotel restaurant, which also serves lunch and dinner. If you’d like to experience Disko Island’s beautiful nature, you have the opportunity to stay overnight on Lyngmark Glacier at an altitude of approx. 800 metres above sea level. Hotel Disko Island offers guided daily guided tours to the top of the mountain, where during summer, you have the opportunity for a unique dog sled experience. This can be arranged as a day trip, or with accommodation in Disko Mountain Lodge, where you will be served dinner and breakfast. To reach Disko Mountain Lodge, you follow a hiking trail through basalt mountains. The hike takes 3-4 hours each way, and at the top you’ll be rewarded with a magnificent view over Disko Bay. 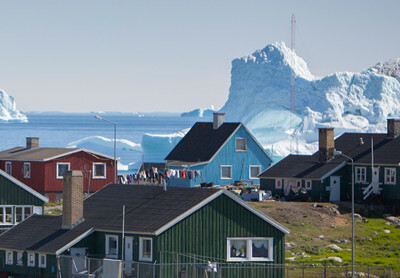 Looking for Hotel in Greenland? Experience Disko Island’s glaciers, Disko Bay’s huge icebergs and legendary whales, then further north, Eqi Glacier's deafening calving events. On this trip you’ll experience ice in many forms. Why choose Greenland by Topas?